Q: Where do volunteers live? Bon Secours Volunteers live together with the other ministry volunteers in intentional community. The house is located in the same neighborhood where volunteers serve. Q: Is the neighborhood I’ll be living in safe? 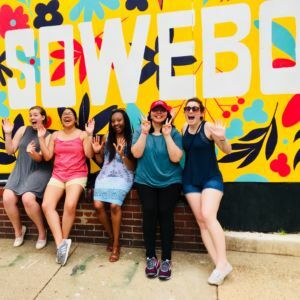 Volunteers live in areas of need in Baltimore and Richmond–we have deliberately chosen to be there because we see both communities as sacred places where there is beauty and life. 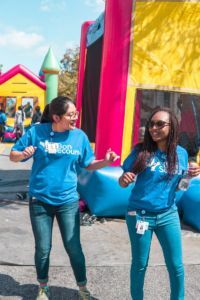 Bon Secours Volunteer Ministry takes safety seriously and guides volunteers to approach safety matters from a stance of nonviolence and relationship building. Volunteers are encouraged to meet their neighbors, participate in neighborhood association meetings, and be a visible part of the neighborhood. BSVM provides nonviolence training during orientation and hosts a security officer from the hospital early in the year to offer advice and answer any questions volunteers may have. While we can never guarantee safety, BSVM works diligently to help volunteers transition to living and working in the inner-city and to make it home. Q: How much is the stipend? What is it used for? Bon Secours volunteers receive a monthly stipend of $325 before taxes. The program also provides housing, health insurance, and a community vehicle for the year. Volunteers, as a community, are responsible for purchasing their own food and gas. 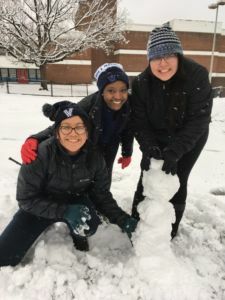 The remainder of the volunteers’ stipend is expected to be used for all other personal expenses, including travel home during the year, doctor copays, outside activities, cell phone bills (if applicable), student loan payments (if not deferred), etc. Every year volunteers are surprised how little money they really need to meet their needs! Q: How many people are in the program in one year? Our volunteer community usually consists of about 5-6 volunteers a year, per location. Q: What is the schedule of a volunteer like? 6:00 PM-Community meeting or other activities- free time, participate in other volunteer opportunities, get involved with community sports league, time for personal reflection, etc. Q: What are the community obligations of living as a BSVM volunteer? 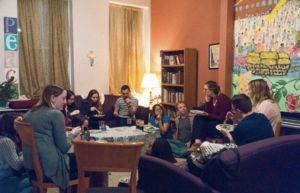 In terms of formal “community time,” volunteers should plan on spending at least two times a week with the community. These times are known as community night and morning reflection. BSVM staff is present at these times. We do expect the community to share at least two meals a week. The nights should be decided by mutual consent of all community members. In addition to cooking and meals, living in community also involves sharing money for food and community expenses, household chores, and grocery shopping. Q: What opportunities are there for spiritual development during my time as a Bon Secours Volunteer? Spiritual growth is the foundational program pillar. Volunteers are asked to engage in daily personal prayer throughout the week and to be open to sharing about their spiritual lives. There are also 3 retreats built into the service year- in the fall, winter and spring. Bon Secours Volunteer Ministry also offers the opportunity for volunteers to meet with a spiritual advisor for spiritual direction. Q: Can I have a job while in the program? We ask that volunteers do not take outside work or classes. Our volunteers have full schedules with their full-time service, commitments to the program for things like Formation nights, and an obligation to be present to the community. We provide the monthly stipend and other financial support to allow volunteers to be able to support themselves on those funds. Q: Will I be able to apply to graduate or medical school while serving my year? Yes! Every year we have volunteers applying to school during their time of service. We ask volunteers to schedule travel around weekly program commitments. 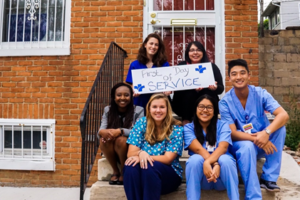 Q: How long is the Bon Secours Volunteer Ministry program? When does it start and end? The Bon Secours Volunteer Ministry program lasts about 11 months. It begins in late August/early September and ends July 31st. Volunteers commit to serve for the entire 11 month period when they join the program.